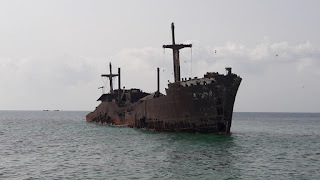 writing about kish island is not very easy! there are too many informative websites online about it and I just don't wanna be another copy cat in the cloud! 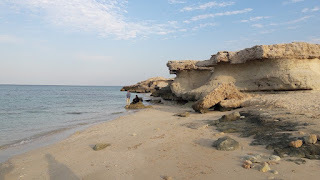 but the pearl of Persian Gulf is not easy to avoid to write about too! 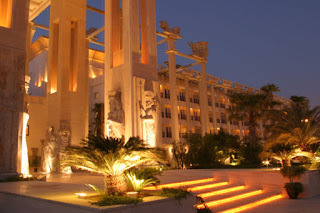 Kish is a 91 sq kilometer resort island in the Persian Gulf. It is in Hormozgān Province of Iran, which its capital is Bandar Abbas. Owing to its free trade zone status it is considered as a consumer's paradise, with numerous malls, shopping centers, environment/sports/eco and business tourist attractions, and resort hotels. More than 1 million people visit the island annually, and high seasons are in March and April, when the Norouz holidays are (Persian Calendar new year). there are also almost all around the year, concerts and music festivals with major Iranian singers and music bands. There are also many restaurants with live music performances. For business people, there are events like exhibitions and conferences, which need to enjoy a state of relaxation and coziness, comparing large cities like Tehran. you can stay in the island with your car about 5-10 days (depends on the dates) and this period is renewable.Google maps and Google Traffic services work inside the island so you don't worry to find your way anywhere in the small beautiful island. The Kish airport has flights to all major cities and airports in Iran, plus some international flights to Dubai, Abu-Dhabi, India and Philippine. No entry visa is required for Kish island. Foreign nationalities don't need entry visa at the authorized arrival and departure points in Kish Island. At Kish International Airport, the officials may take your photograph, fingerprints, and stamp your passport, allowing you to stay up to 14 days in the Island. If you are western, you may be asked about the purpose of your visit. Make sure you bring all verification paperwork including hotel reservations with phone numbers, etc. With many beautiful landscapes, no wonder why Kish Island was ranked among the world’s 10 most beautiful islands by The New York Times in 2010, and is the fourth most visited vacation destination in Southwest Asia. With such facts, no wonder you will find many luxury hotels in the island, beside budget accommodation and cheap hotels as well. Kish Island has a range of nice villas, hotels, and guest houses for tourists. Hotel reservations can be made through travel agencies in the mainland or in other countries (but it would be more expensive) or be done on websites like booking.com or hotels.com with applied discounts on rates and costs. the budget for a hotel can vary from 30 to hundreds of USD per night. Toranj hotel is the most expensive hotel in the island, with up to 900 USD per night for staying Imperial Suite for four persons. the hotel is located in the sea. you can enjoy internet on your sim card, if you have a roaming service from most of the operators worldwide; though it may be a bit pricy.